A ton of new cards were just shown off from Hearthstone's next expansion. As has become tradition, Brian Kibler and developer Peter Whalen revealed a bunch of new cards from the next expansion, The Boomsday Project, in a livestream to kick off card reveal reason. Cards will now be revealed over the next week or so by the community. Here's all the non-legendary cards that were revealed in today's stream. 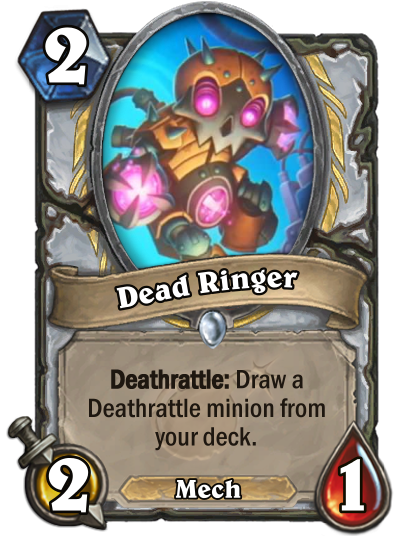 Quest Priest has a bit of fringe usage in the current meta, and this is definitely a useful card for that deck. Priest already loves cycle. 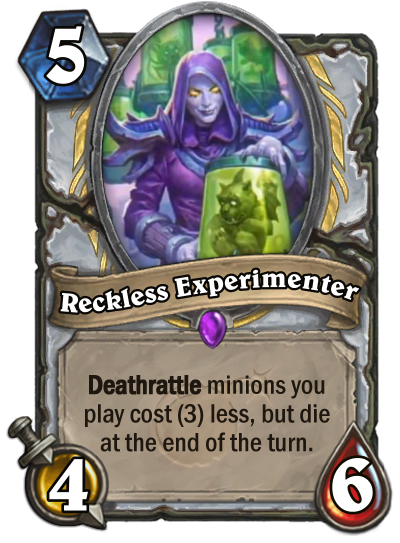 Reckless Experimenter was one of the first really crazy cards shown off. Carnivorous Cube could be absolutely nuts with this card, playing some crazy Deathrattles and getting off a Cube for super cheap. This is obviously completely adorable, fulfilling the quota of one adorable card per set. 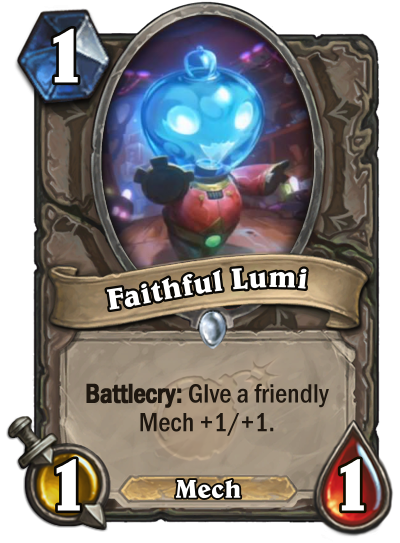 If aggressive Mech decks see play, this might even be useful. Not every class is getting Omega cards apparently, but Warlock is. 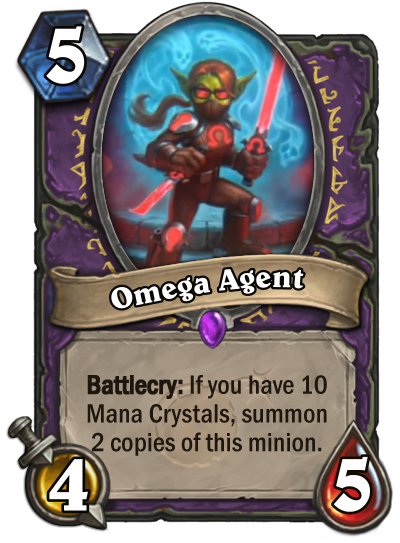 Omega Agent summons three 4/5 minions if you have ten mana, giving you a pretty solid board. It's not clear what deck this will see play in, with Bloodreaver Gul'dan often filling the late-game refill slot right now. If you've missed Gang Up, here it is on a 3/2 minion. 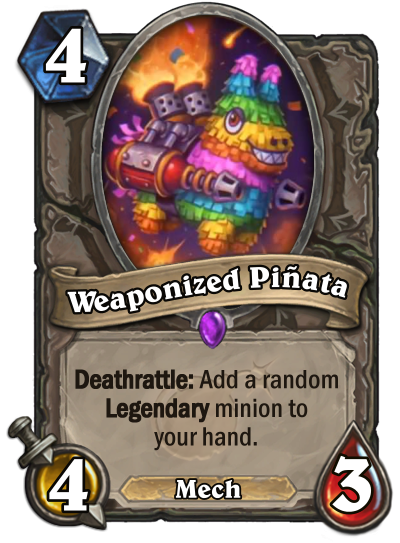 An early contender for best art of the set, Weaponized Pinata brings a bit of that piloted Mech flavor without a broken Piloted Shredder. For Unexpected Results, Blizzard is trying something new. 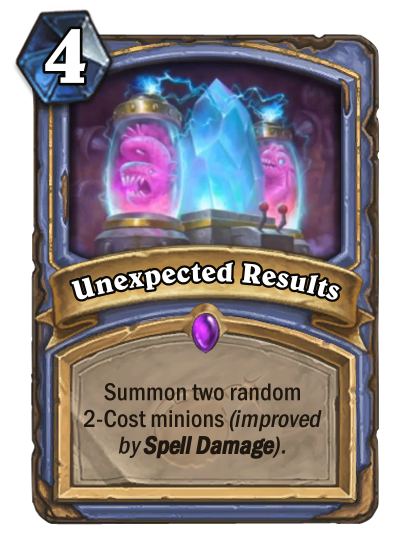 Instead of Spell Damage improving, well, damage, Spell Damage will improve the mana cost of the random minions. As soon as you have one Spell Damage buff, this is good value. 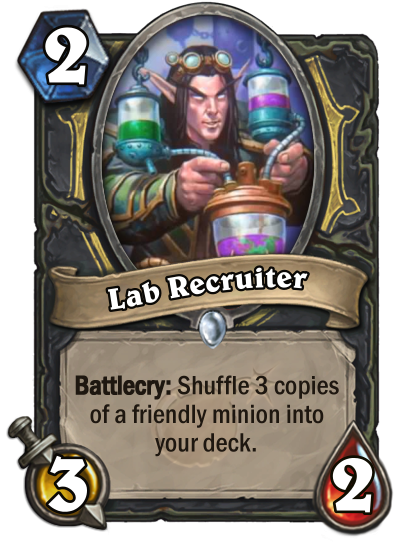 If you can add a couple, this is great tempo for four mana. 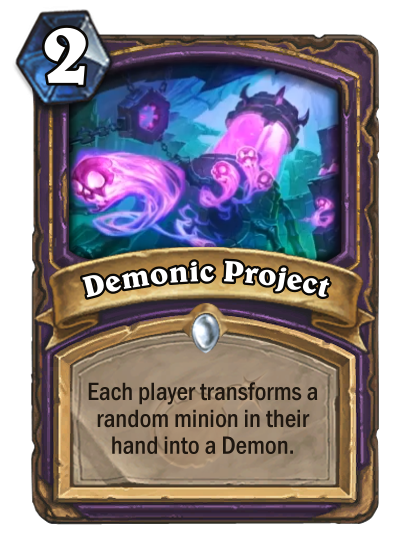 Demonic Project is giving players Dirty Rat vibes, but it won't be as ubiquitous this time—not least because it's a class card. This could be really bad if you give your opponent a Voidlord, but if you hit something like a Malygos or Shudderwock it could be game ending.